Where do animals stand on the zombie apocalypse? In spite of the growing demand for zombie-related films and television shows, the probability of a human zombie seems to be fanciful. 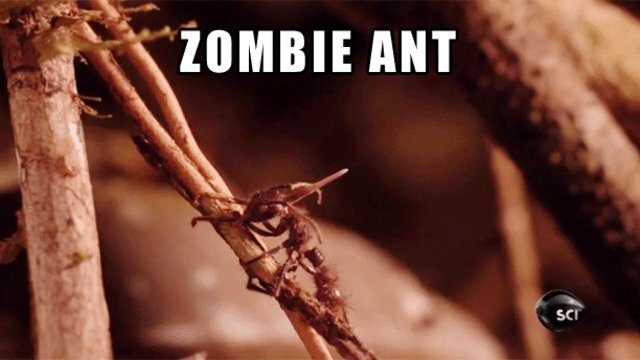 Zombie ants, however, are quite probable and real. If you are looking forward to the next episode of The Walking Dead, then this will give the show a more realistic feel to you. 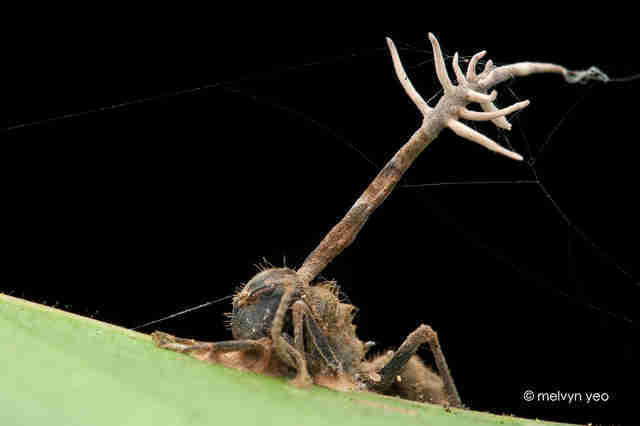 While searching for food, an ant could accidentally catch the zombie-ant fungus, scientifically known as Ophiocordyceps unilateralis. This fungus targets formicine ants in tropical forests. Once the ant catches the parasite, the fungus spreads through its body, then, reaches and controls its brain. In order to survive, Ophiocordyceps unilateralis requires a certain humidity and temperature. However it can't travel to the location on its own. That's where the ant's body comes in. 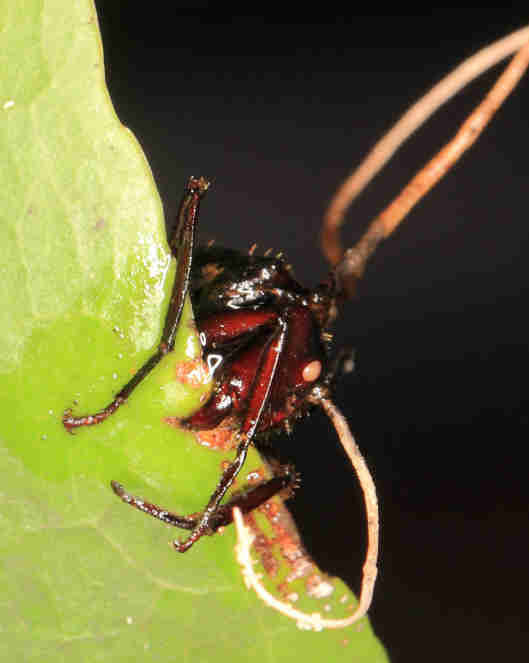 By controlling the ant's brain, the fungus steers the ant toward a location in the forest, specifically 25 meters above the ground, with around 95% humidity, and a temperature ranging from 20 to 30 degrees Celsius. Then the ant clenches unto the leaf with its jaw and dies. "[This] happens with a remarkable precision around solar noon, making this one of the most complex examples of parasite manipulation of host behavior," says David Hughes, a behavioral ecologist at Penn State. After finding the perfect location, the fungus reproduces inside the dead ant's skull. It produces enormous pressure and builds up till it pierces its exoskeleton. Then, boom! A hyphae emerges from a specific location on the ant's skull and in a few days grows to become twice the length of the host. With this hyphae, the parasite then spreads onto unfortunate ants or other species that pass by over a square meter from the zombie ant's location. Adaptive parasite manipulation, or mind control, is common in more species than we thought. Which asks the question, can other types of the 5.1 million fungi in the world control the minds of larger animals? Can a human catch a mind-manipulating parasite? Maybe a zombie apocalypse isn't as improbable as we thought.